My holiday show season starts the end of this month. 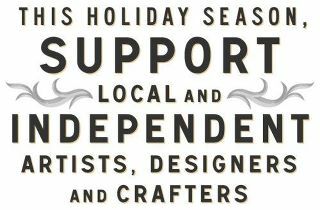 There are so many local artists in our area with such a wide variety of wares. Every weekend will provide a new shopping experience and most of these events support great causes. Here is where you can shop Beadware in the coming months. You will find this list on the event section of my Facebook page. And if you are on my email list, I send out a monthly note with similar information. Hope to see you at one of these fun events. Happy shopping! Over 60 vendors of homemade gifts will be scattered throughout the mall. A great way to kick off your holiday shopping season! funds raised support school activities. Another great cause and shopping to boot! Walk off that Thanksgiving feast while browsing arts and crafts. Much more fun than the mall! Sign up on my mailing list for an invitation to this annual event. Other places to find Beadware! They carry my Stemware for wine glasses. Smoked salmon, cheeses, NW wines and other local products. Check their Facebook page for current specials and winter hours. They carry my Bead Art Pins. They carry Beadware eyeglass leashes. Thanks to my friend Heather, I now have 2 wholesale accounts that carry my Stemware. Perennial Vintners of Bainbridge Island has been selling Stemware at their Poulsbo Farmers Market booth. And by next week, Crimson Cove Smoked Specialties of Poulsbo will be including Stemware with their gift baskets of locally produced smoked salmon, cheeses, wines and other food products. These These require patience and tough fingers to make! It is like making a miniature bracelet. Cutting the memory wire - bending the ends - filling the wire with beads - making the silver dangle. I am trying to stock up before all my holiday shows. This day was all about red. Are you ready for Halloween? Several artist friends make great things for Halloween. Looking for a costume? Andrea of Beadmask makes the most incredible leather and beaded masks. Check out the variety and order one up from her online boutique. You can see many more of her pieces and learn about her process at her website, just click on costumes to see the variety of masks she has. Having a bash? Kandyse of Blue fox Glass has some fun candy corn and spider dishes. Check out more on her website. In need of a little bling? Then Beadware has just the thing. And made a new jasper pendant for the other necklace. Occasionally I hear from a customer that something they purchased from me broke, or that a bracelet was lost due to a faulty clasp or failed part. I always feel very bad when this happens, but I am also thankful that folks let me know. The feedback is very important so that I can change out the offending material or improve my technique. I guarantee all of my work - regardless of how long someone has had it. If you ever have any problems with any of my designs please let me know. I will fix, remake, or replace any piece that fails or causes an issue. I want you to enjoy wearing my designs. And don't forget my orphan earring guarantee: Do you have orphan Beadware earrings looking for a partner? Send them my way and I will repair, remake or replace. Today, French Paper continues to innovate by becoming the first mill to go beyond pulp to provide not only distinctive papers, but the equally amazing images to use on them. By offering the world's most extensive and highly regarded free digital design resource, French has created a powerful new means to enhance the work of creative people everywhere.